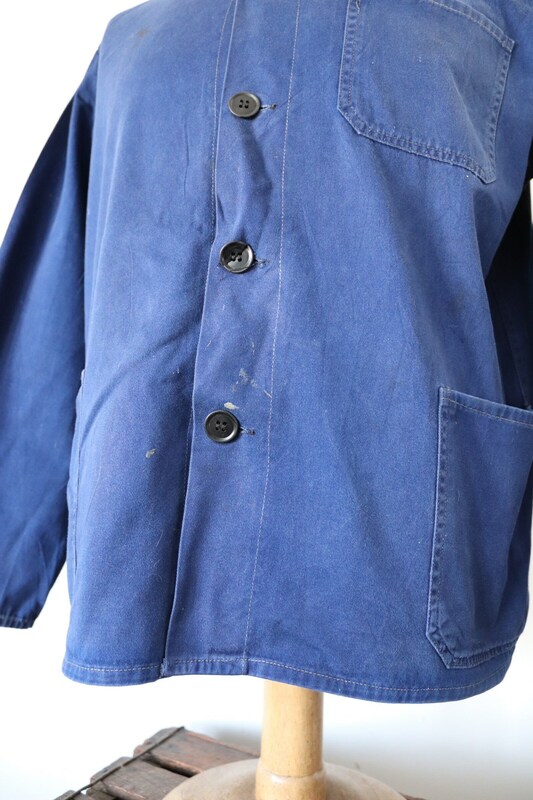 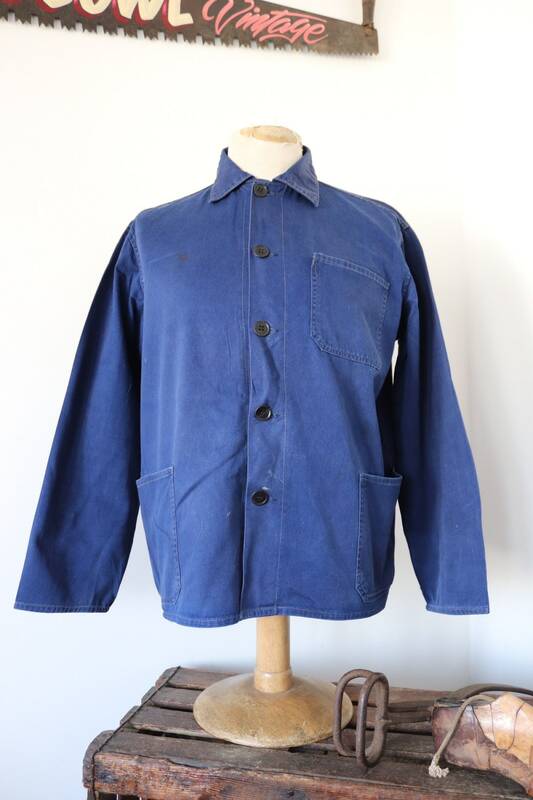 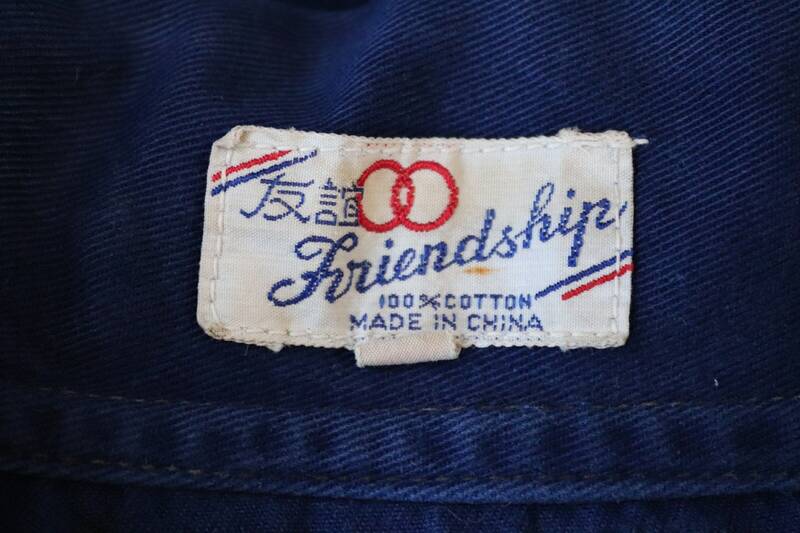 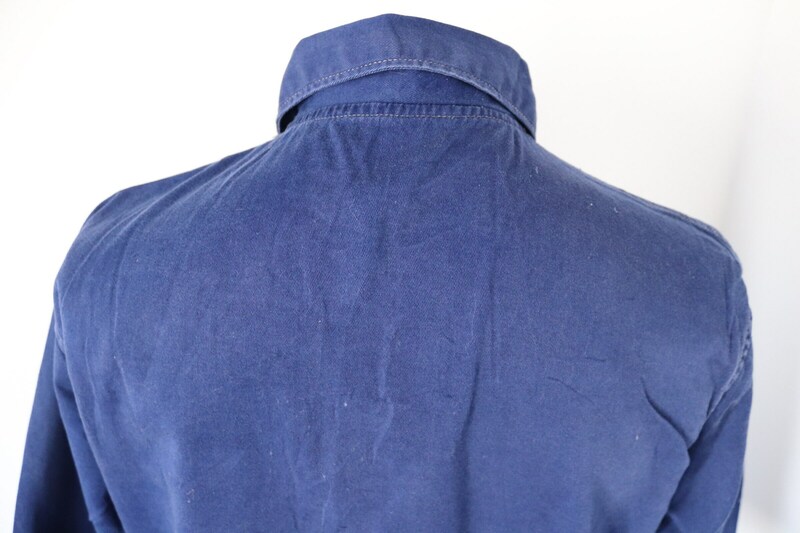 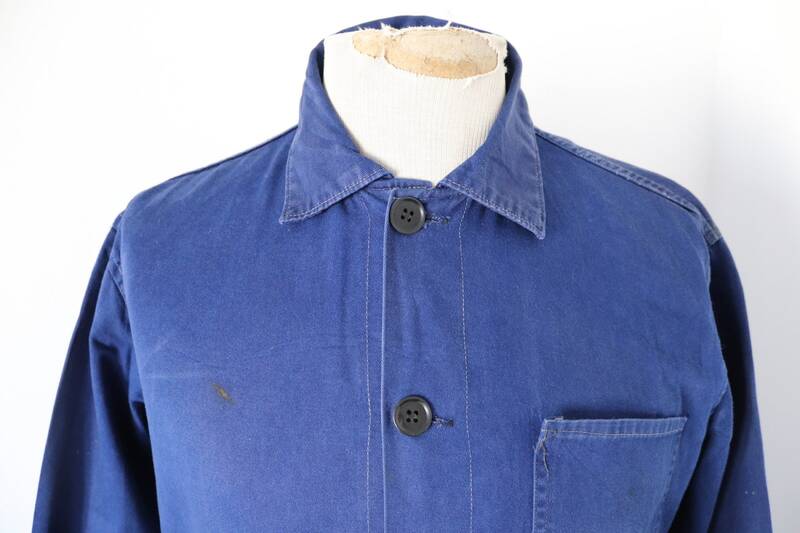 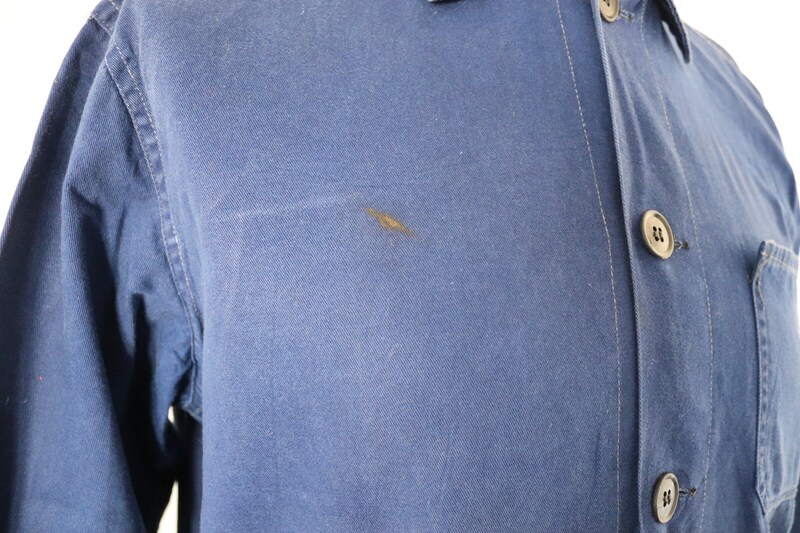 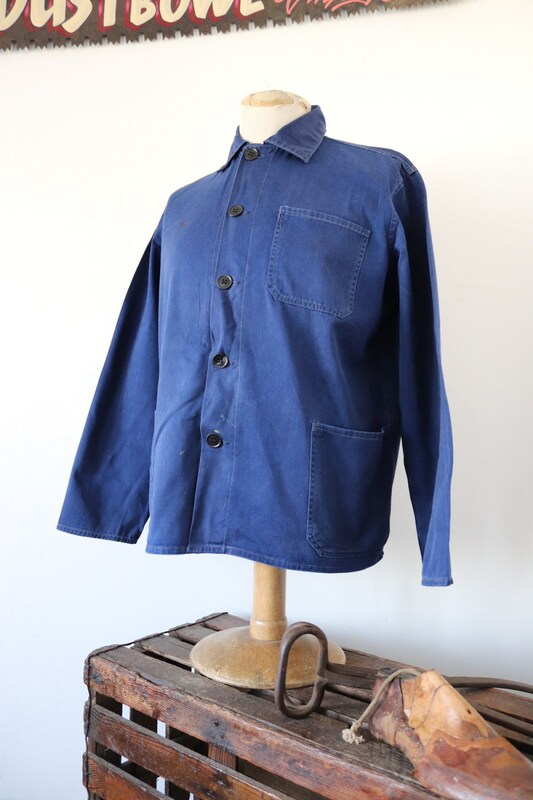 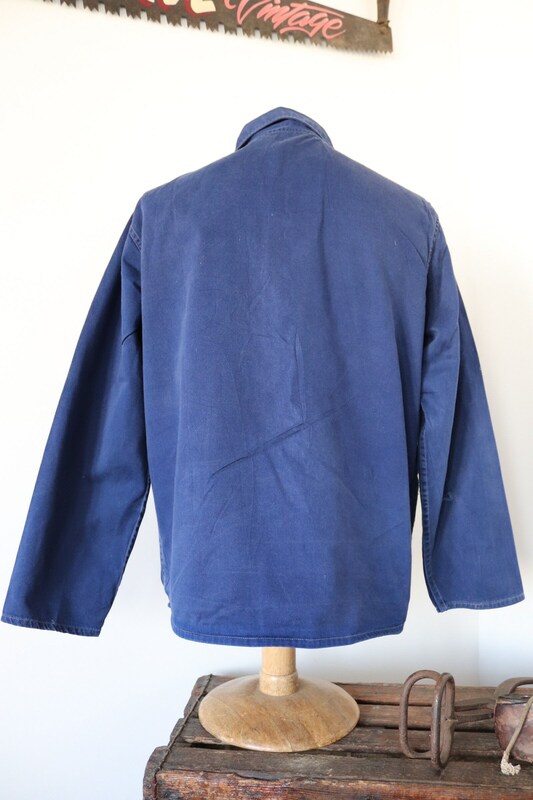 A deep indigo blue cotton French work jacket. 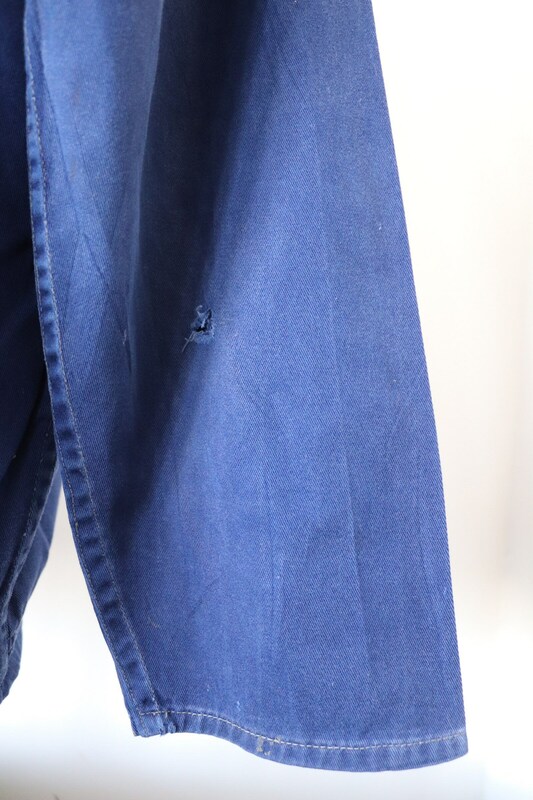 Noted flaws - some spots and marking throughout, small fray on the right elbow - please see photos. 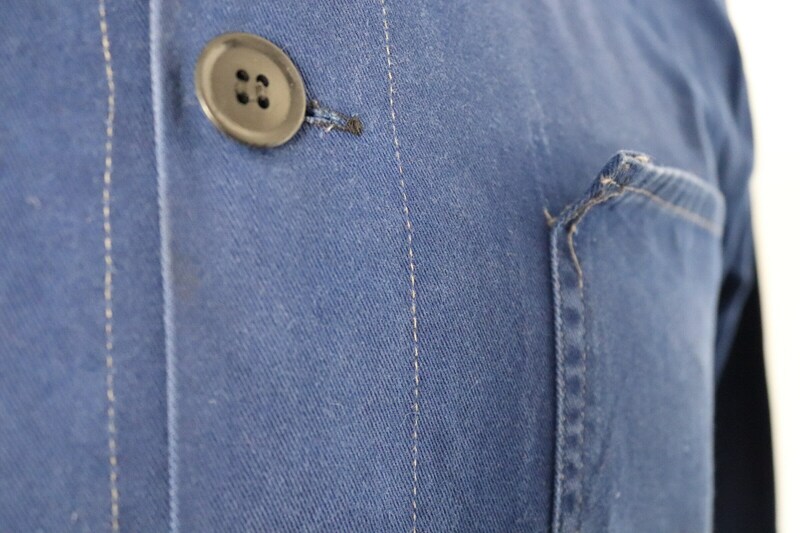 Cotton twill, hidden buttons, single chest pocket, two hand pockets, classic style, great quality.